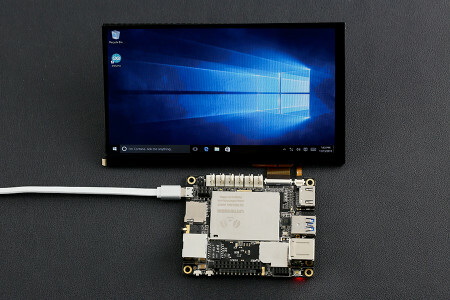 LattePanda is a new and hackable microcomputer board, that is really small and comes preloaded with Windows 10. I found it to be fun to build, configure and start learning the Arduino computing environment for $109. LattePanda (updated link) also sells multiple accessories for its microcomputer such as cases made out of light-weight balsa wood, 7” screens, touch panel overlays, a micro USB cable and 2A wall charger.